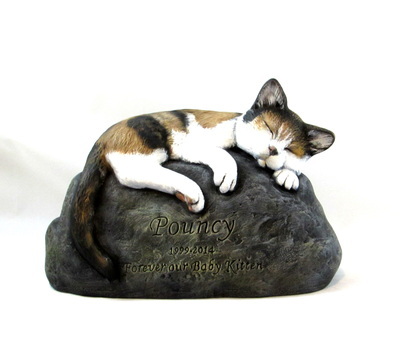 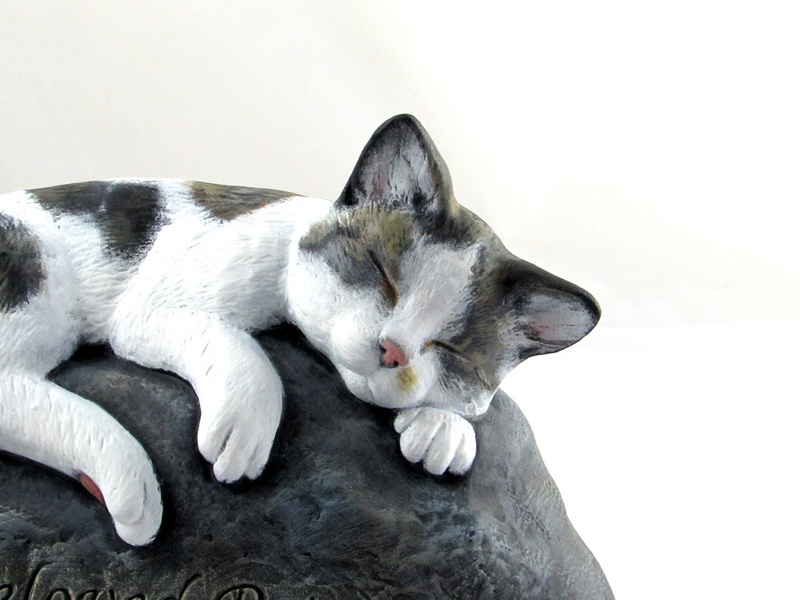 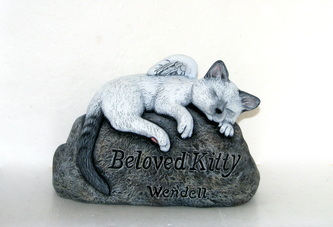 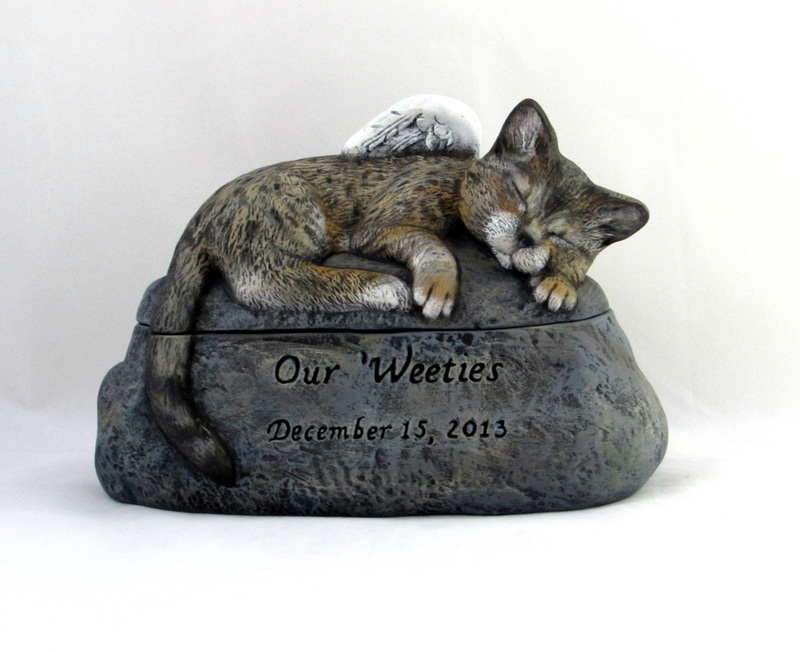 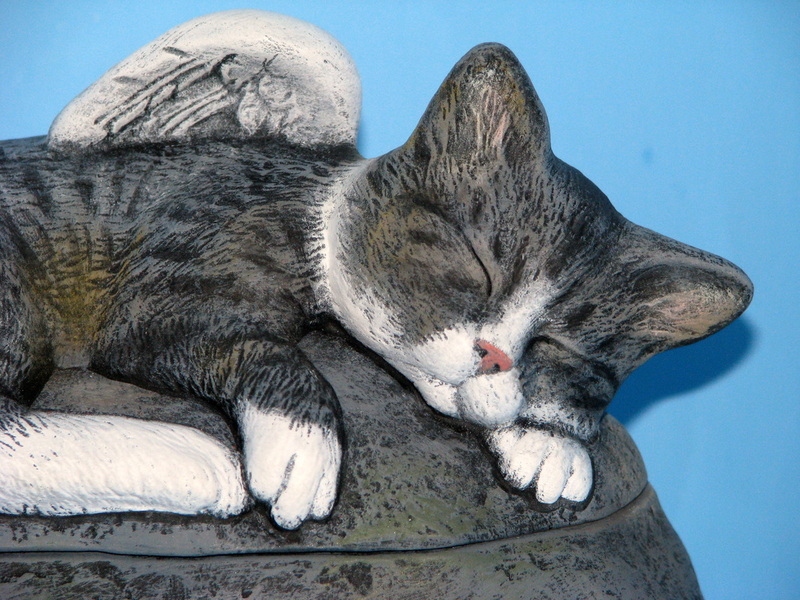 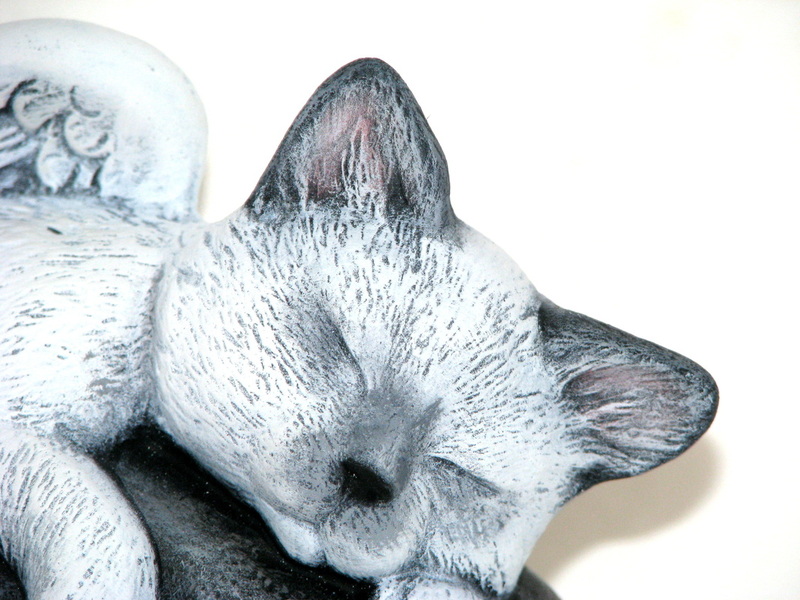 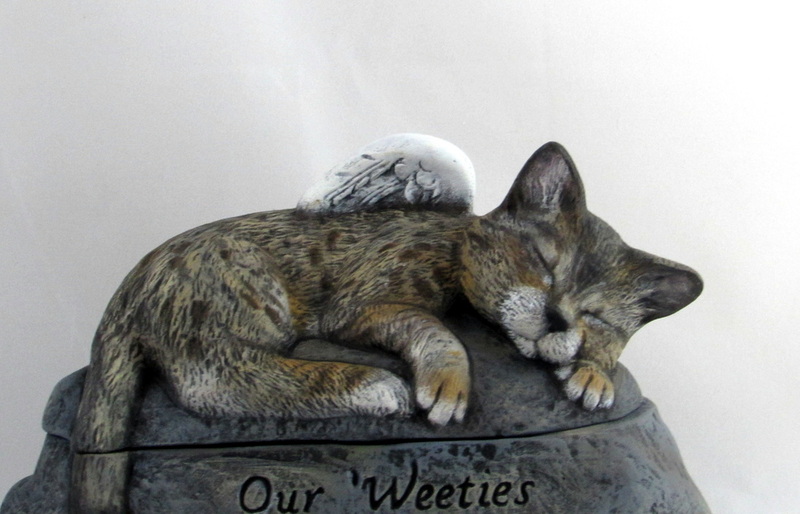 Wendy's Ceramics specializes in customized hand made ceramic urns and grave markers for dogs, cats and more recently - rabbits. 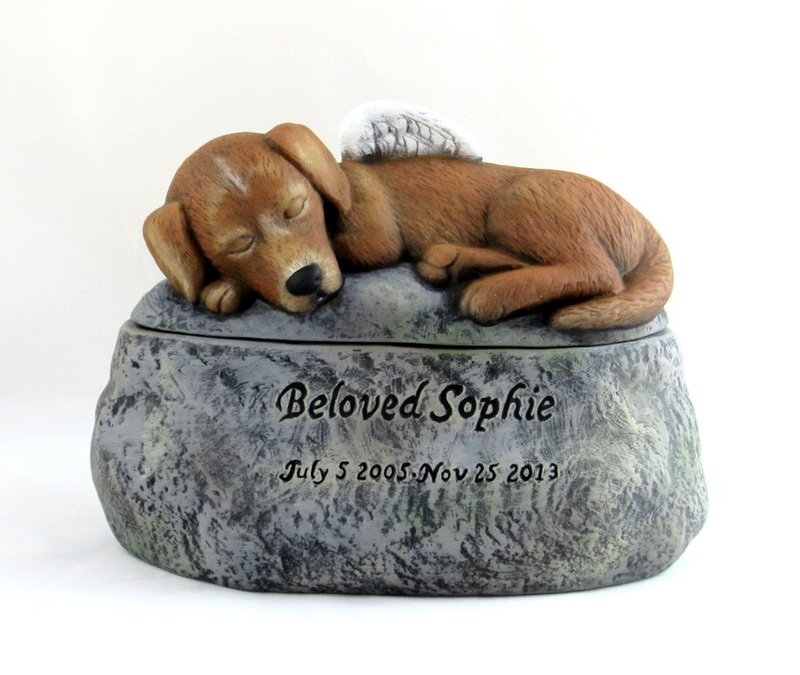 The urns are lovingly hand made - we are a family of pet lovers and so understand the difficulty and emotion when a beloved pet is lost. 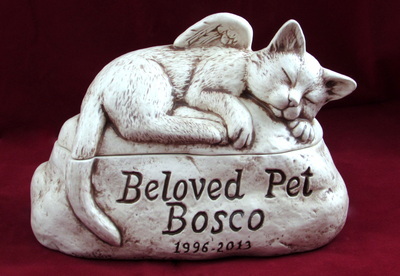 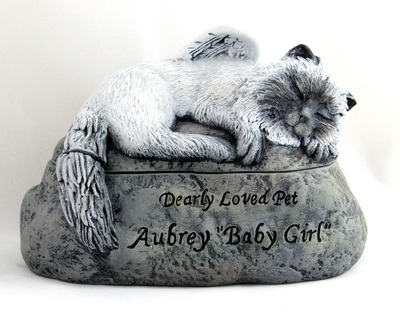 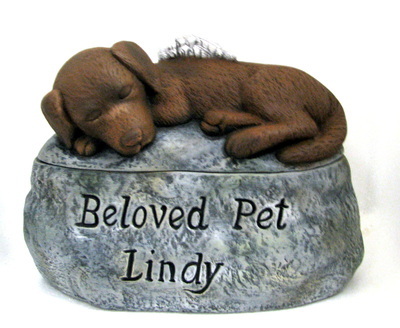 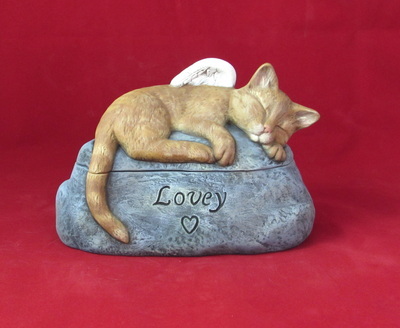 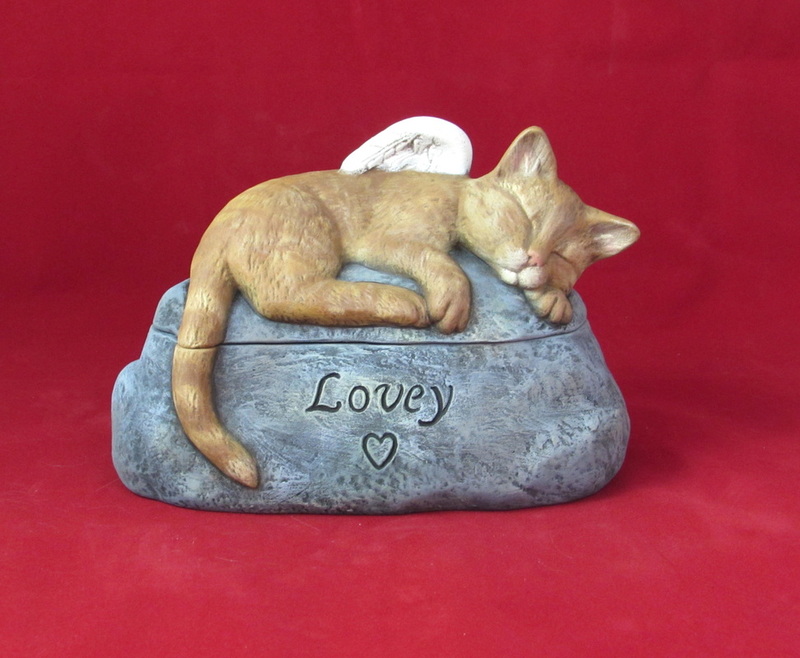 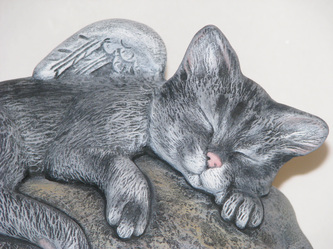 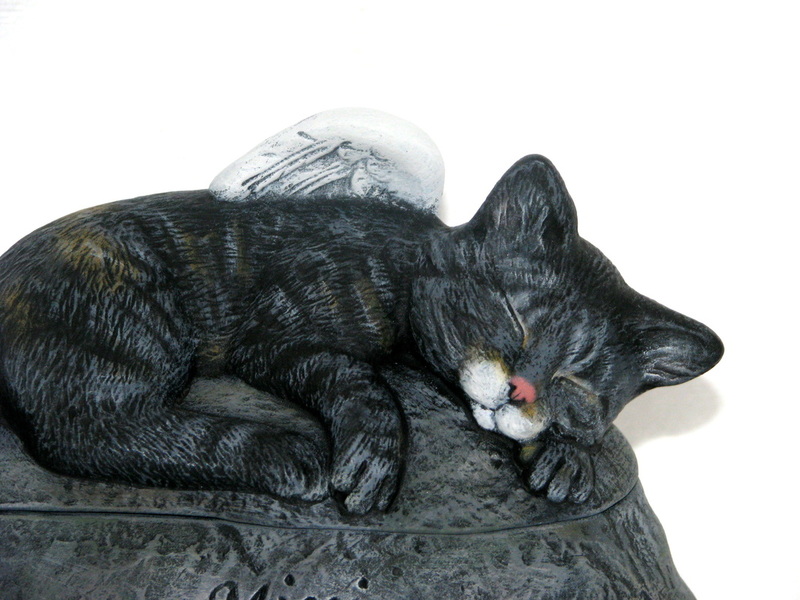 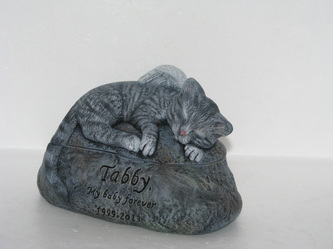 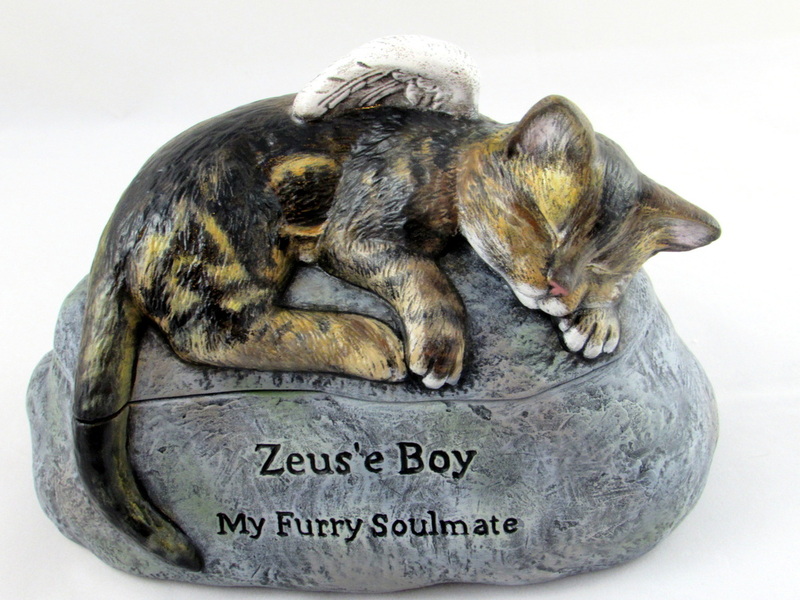 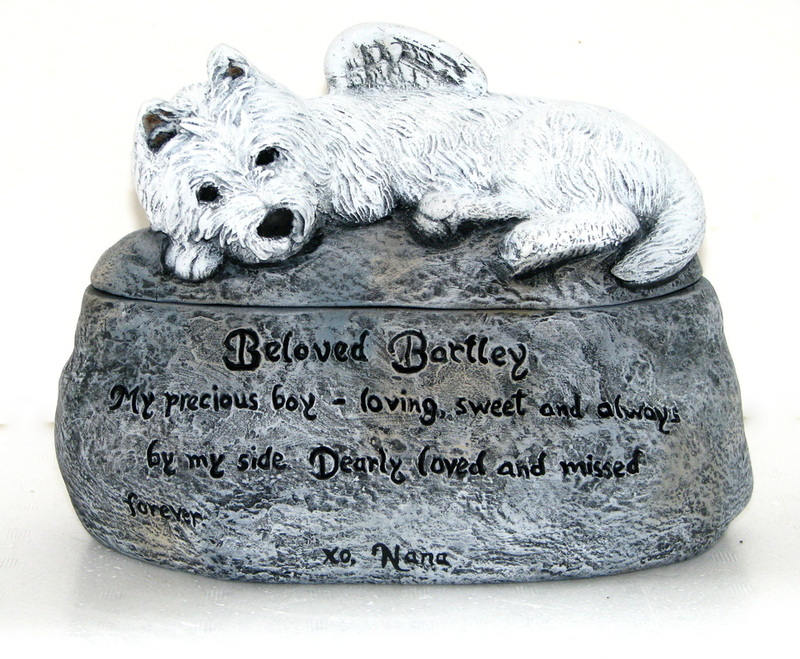 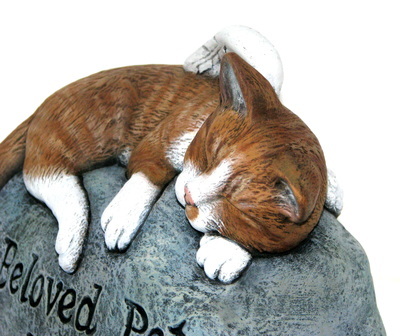 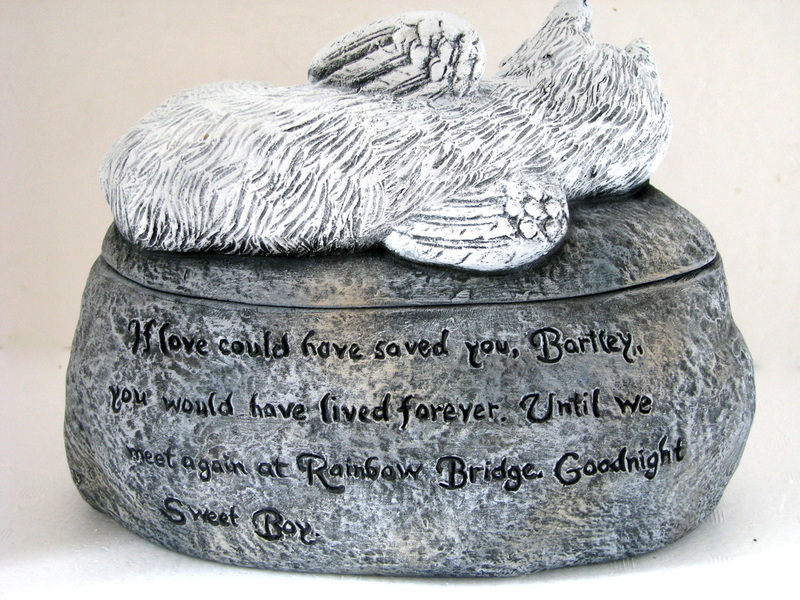 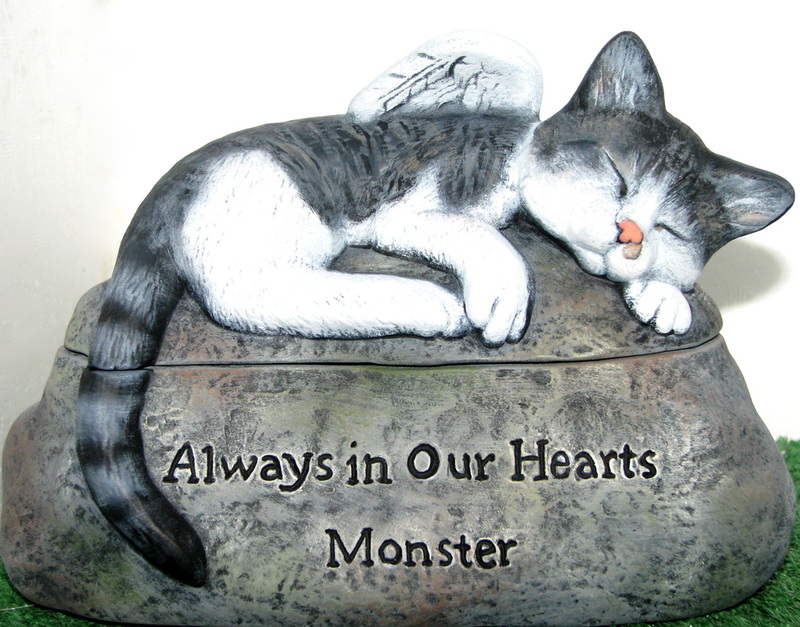 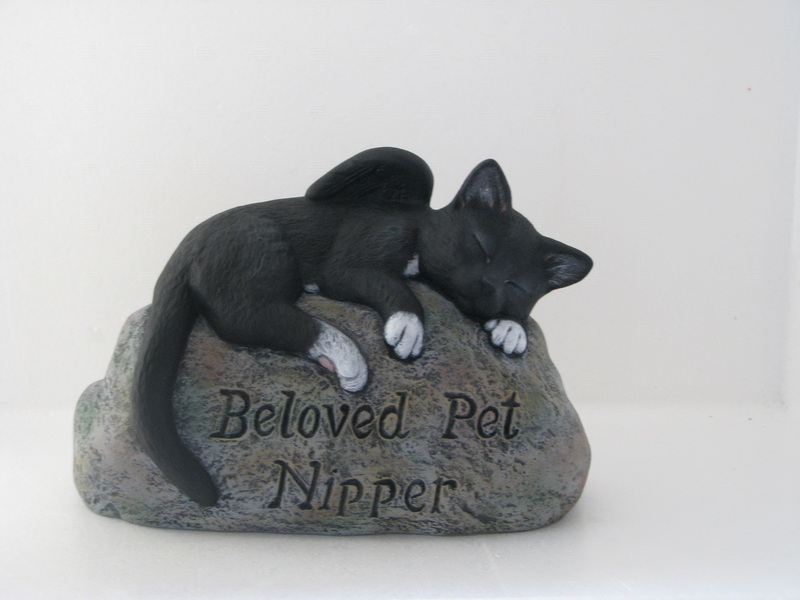 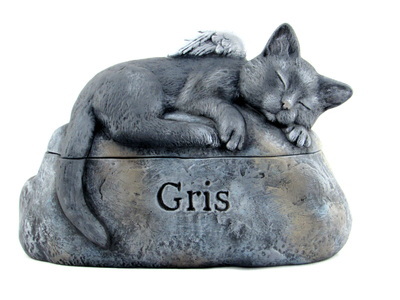 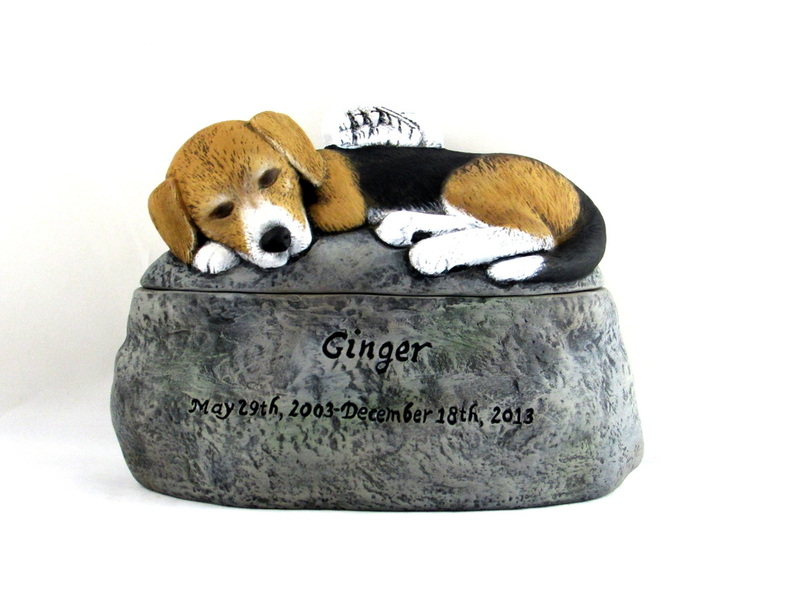 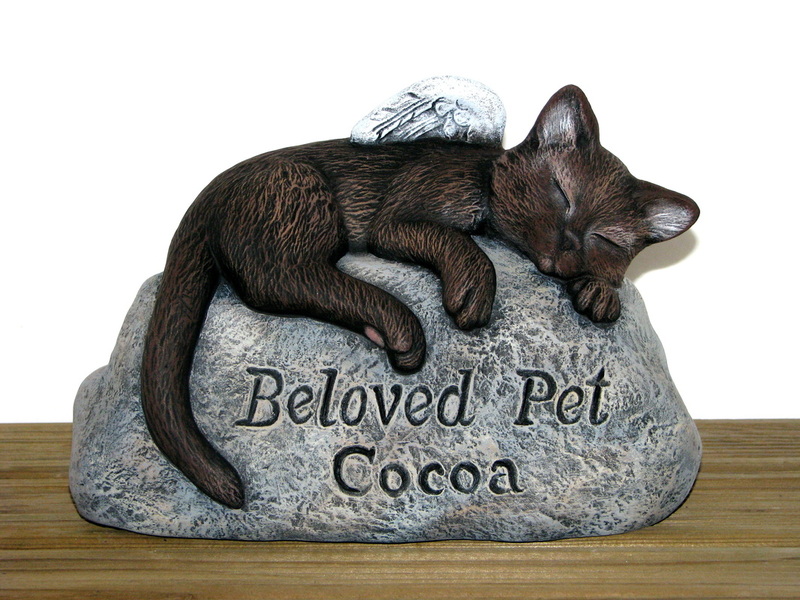 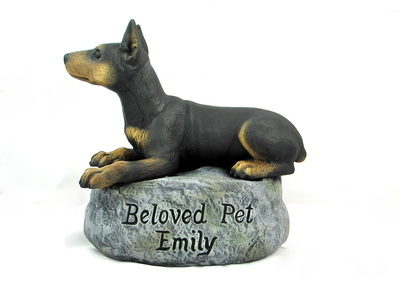 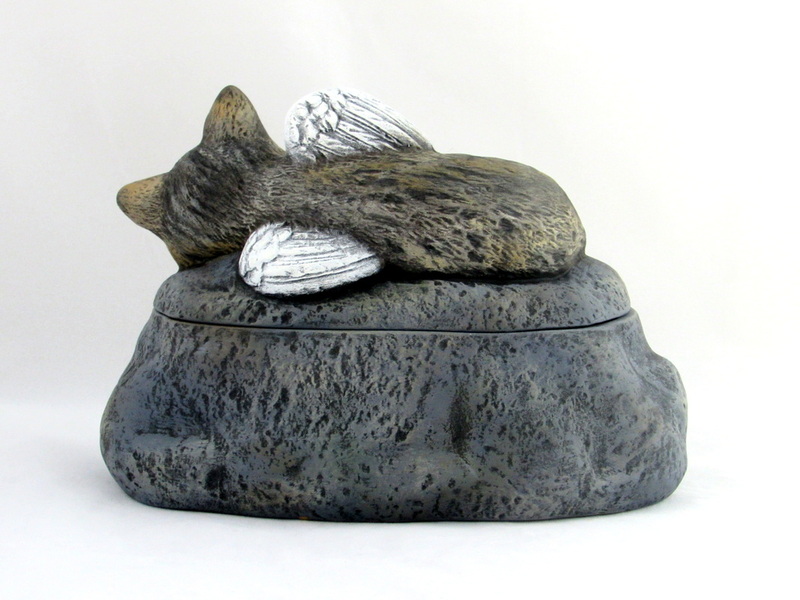 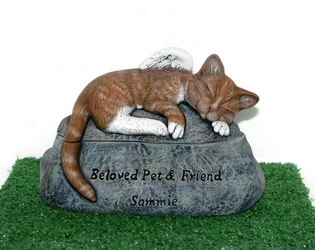 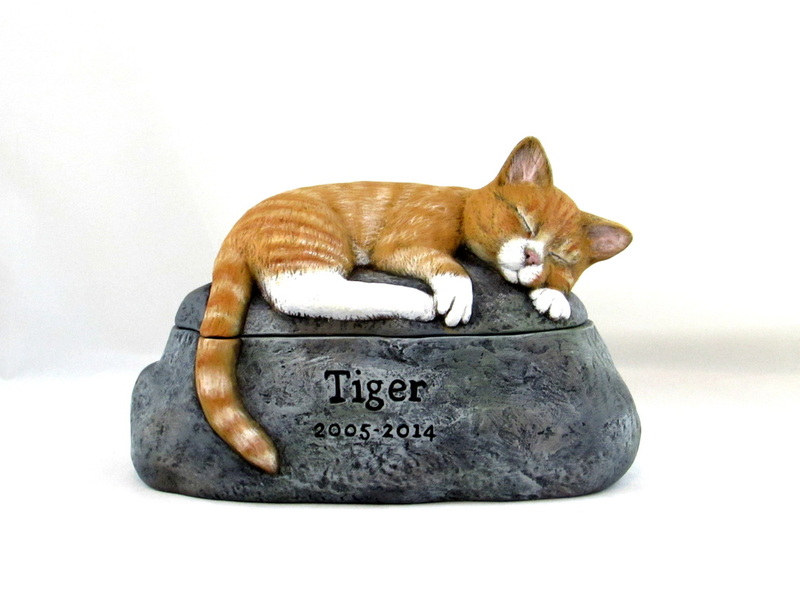 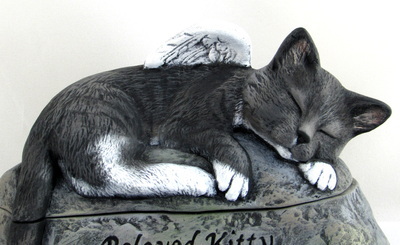 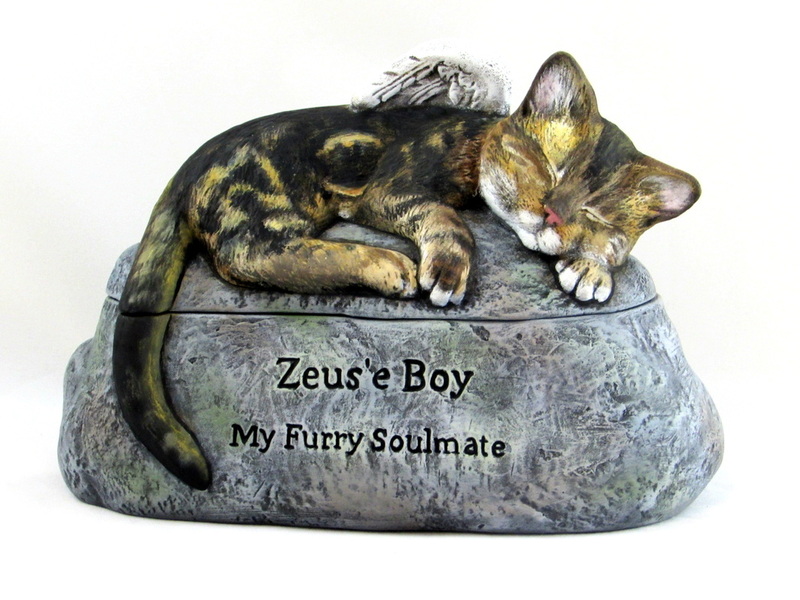 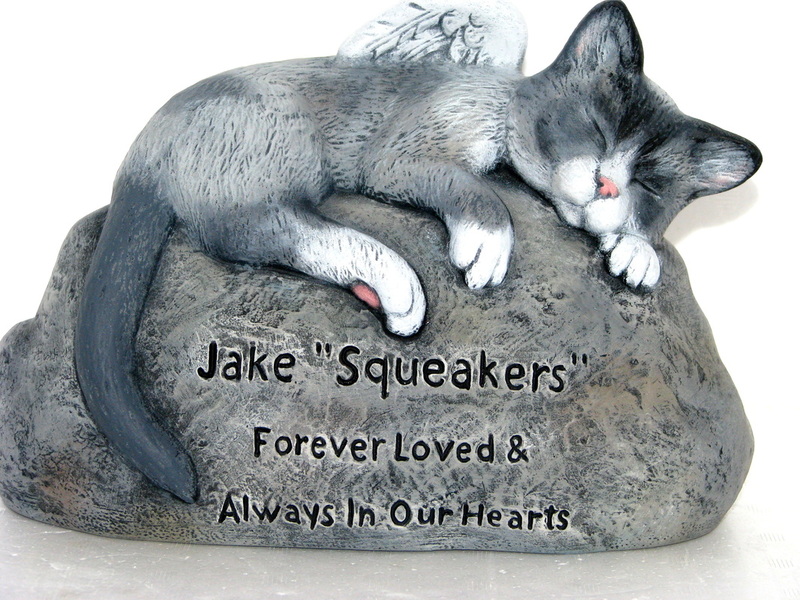 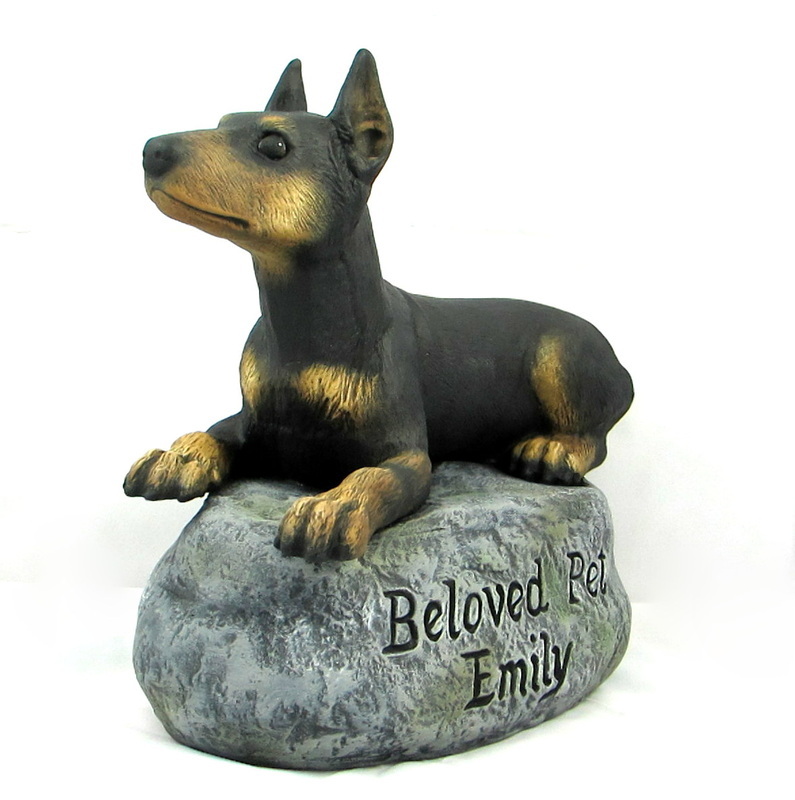 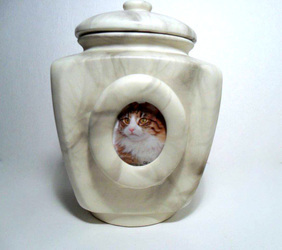 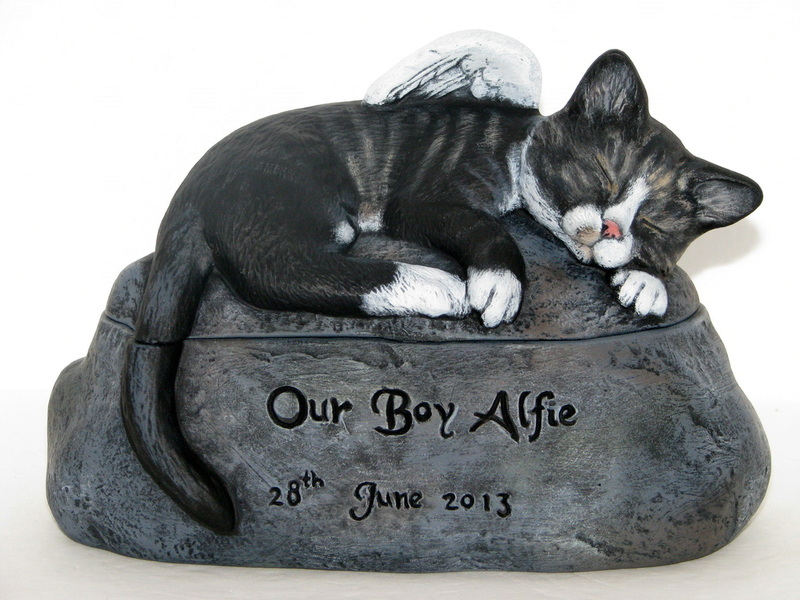 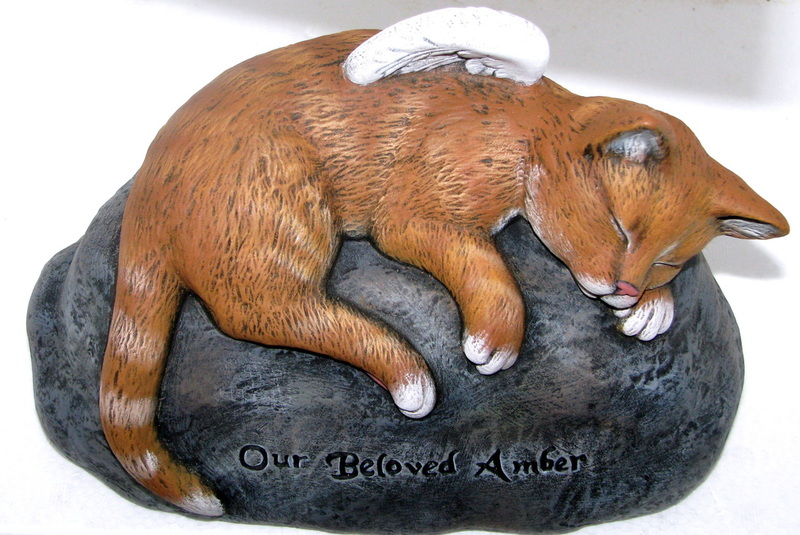 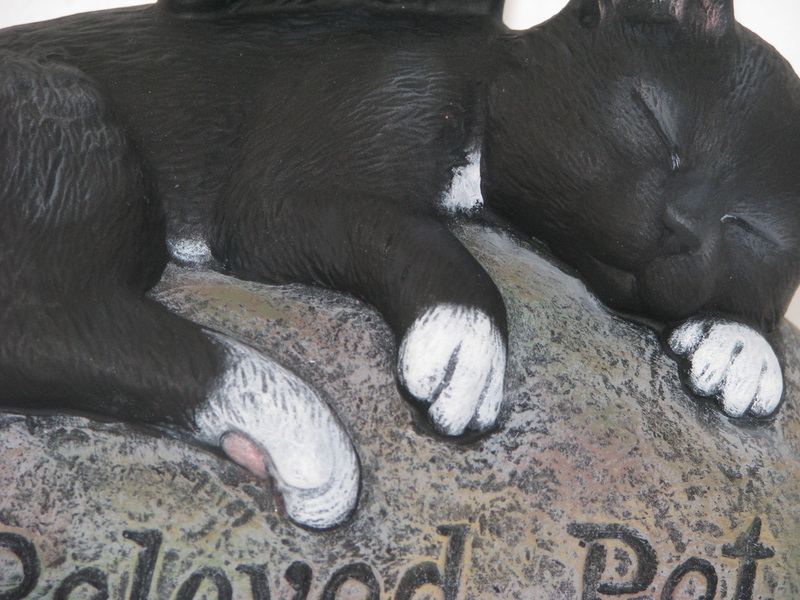 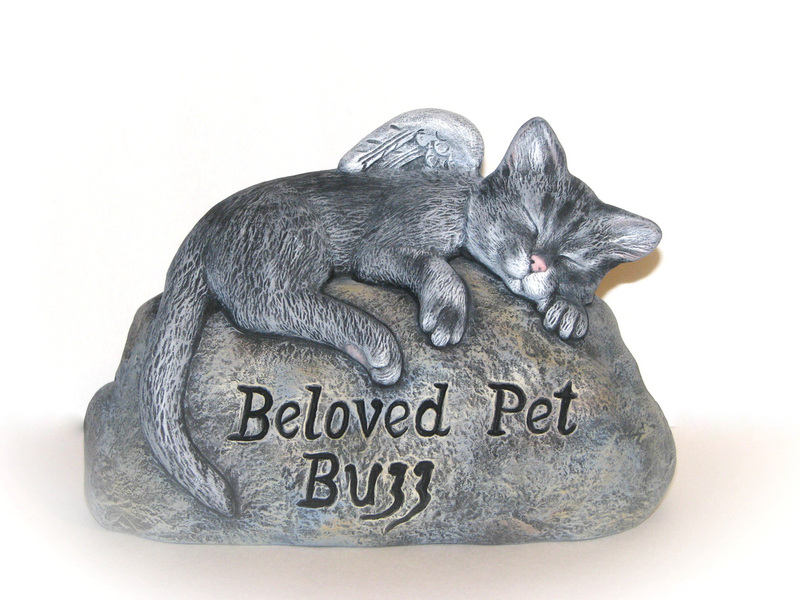 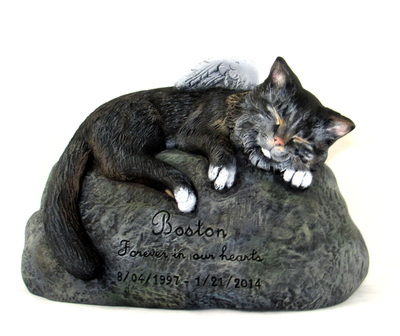 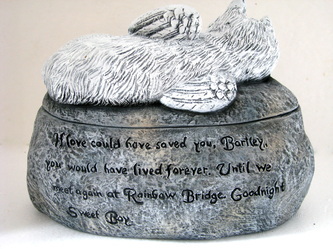 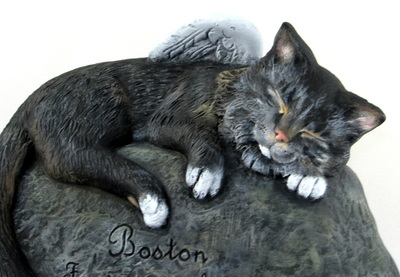 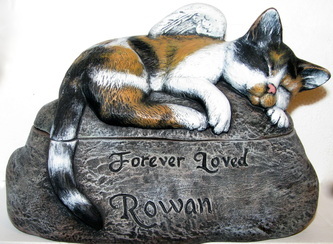 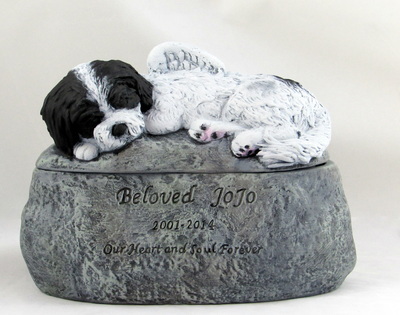 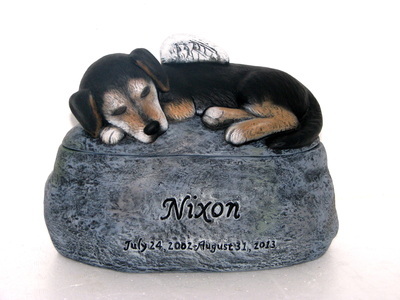 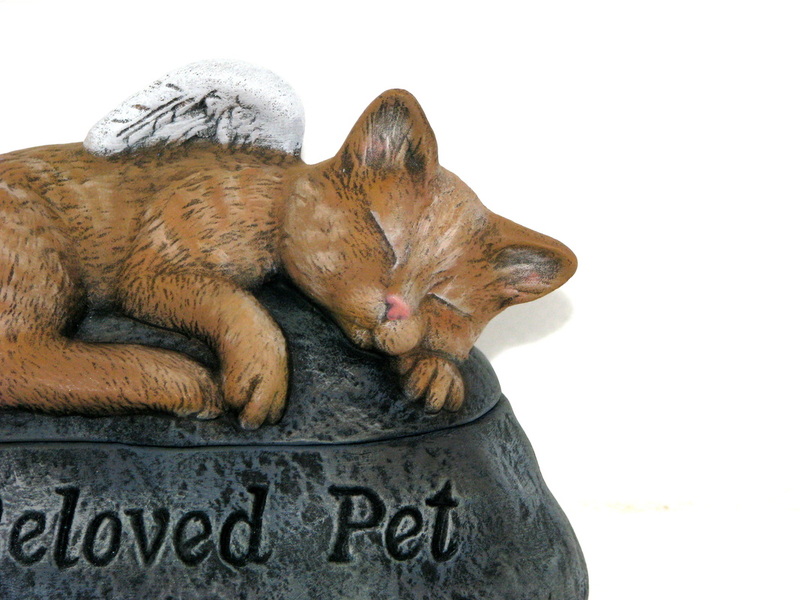 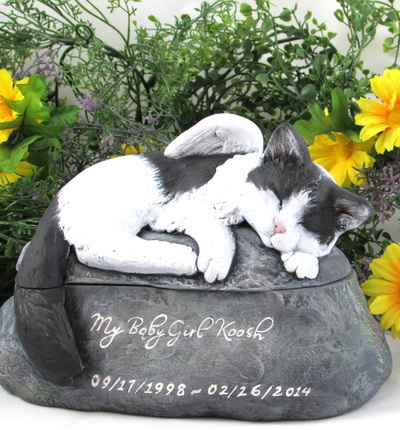 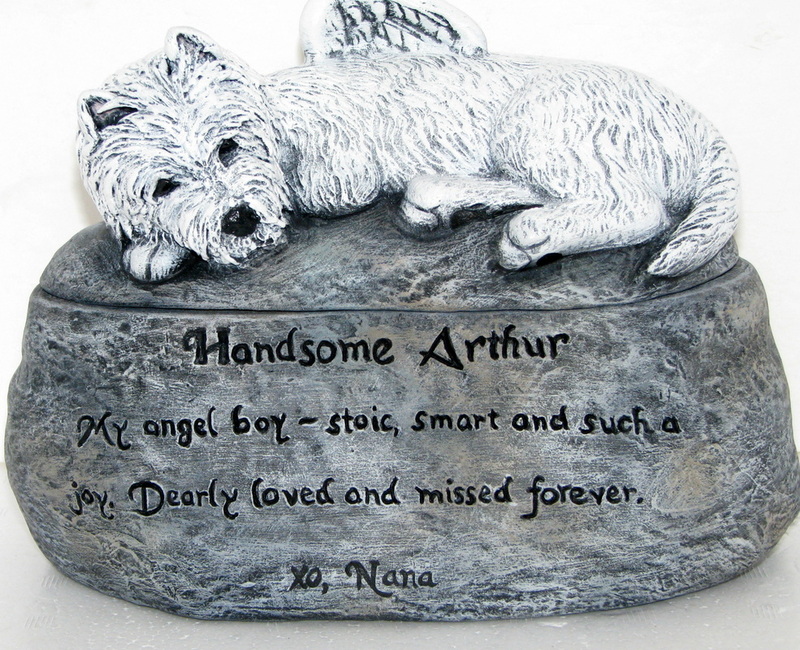 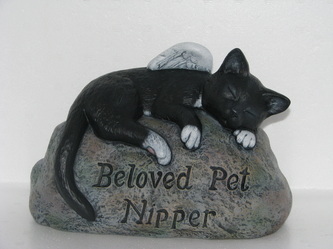 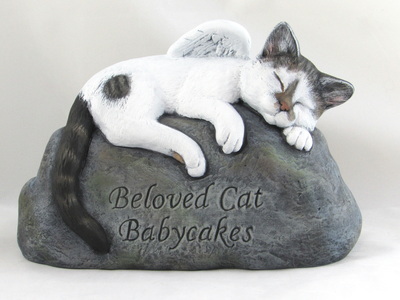 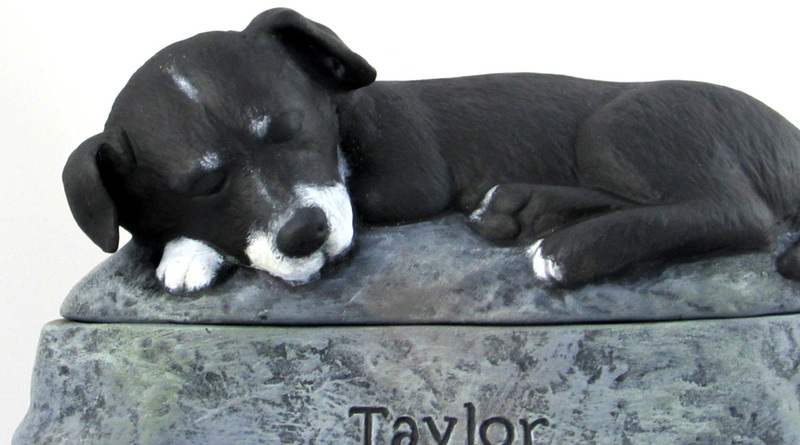 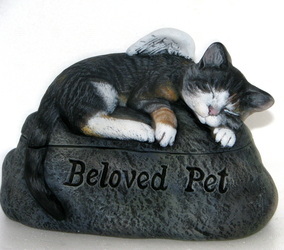 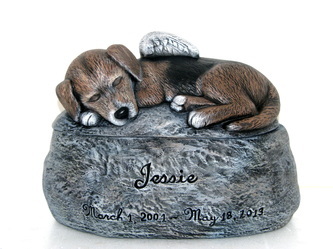 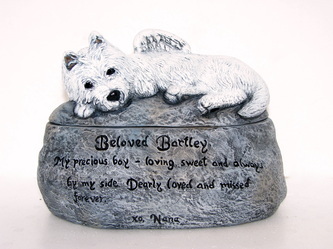 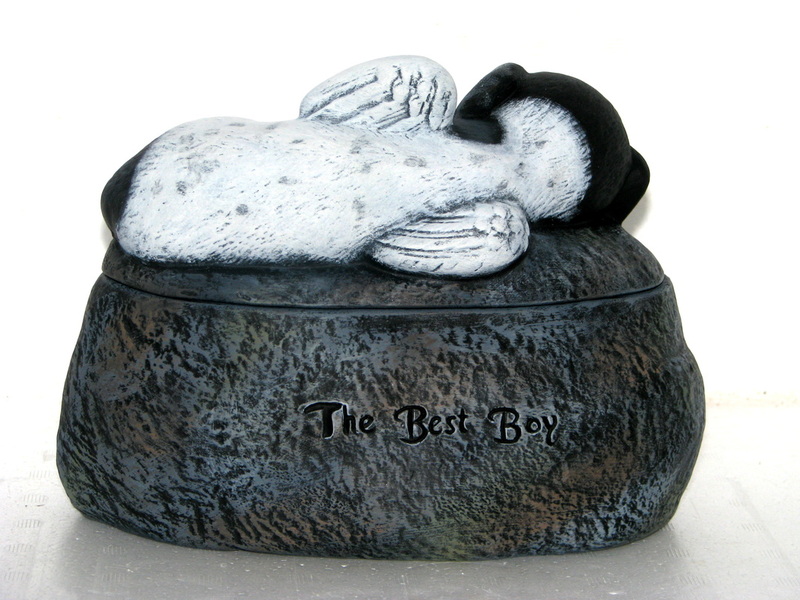 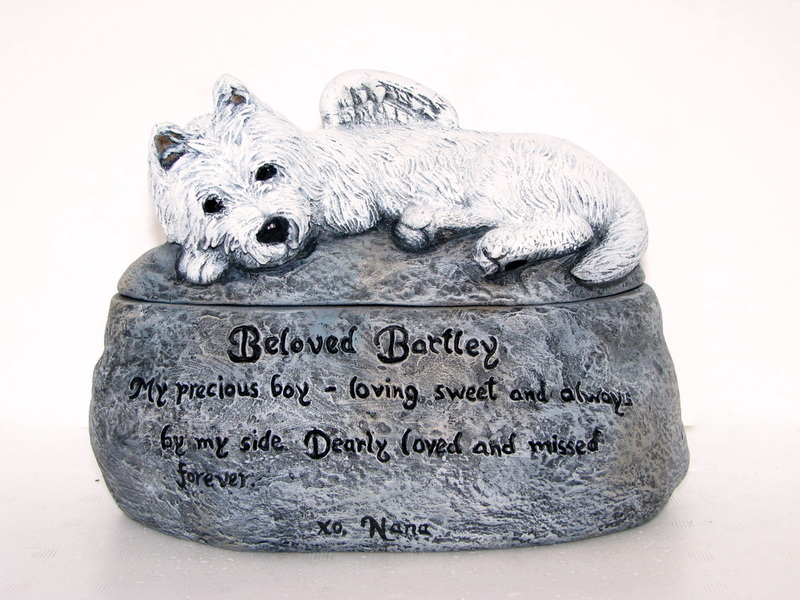 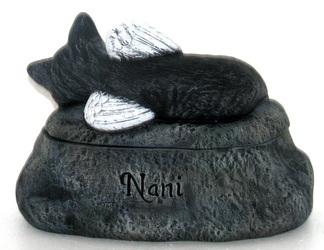 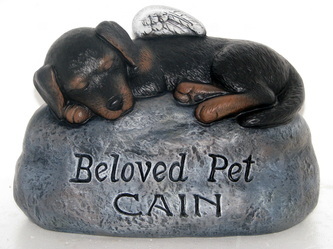 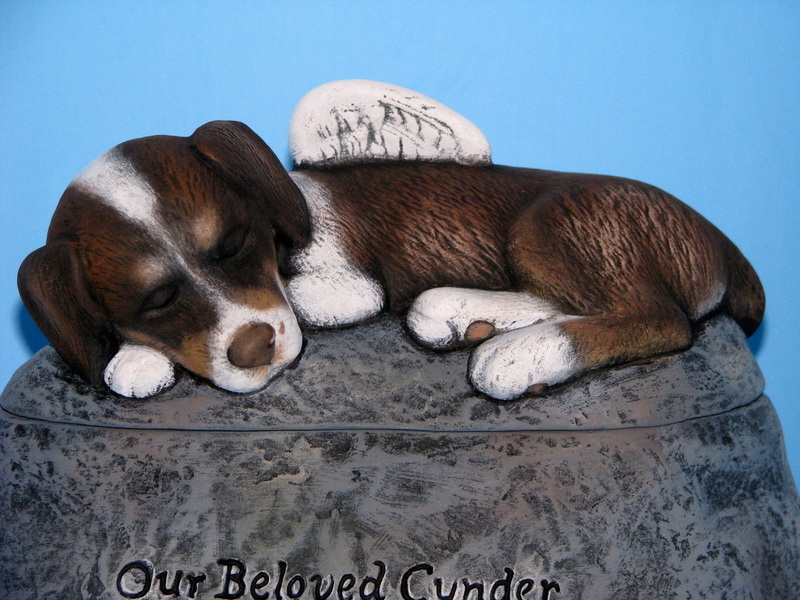 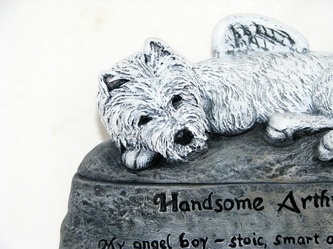 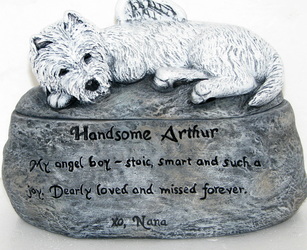 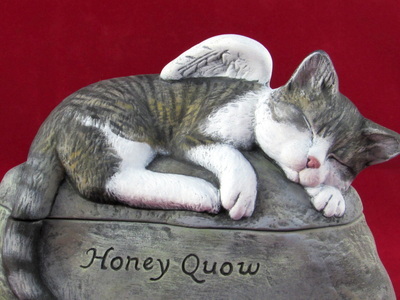 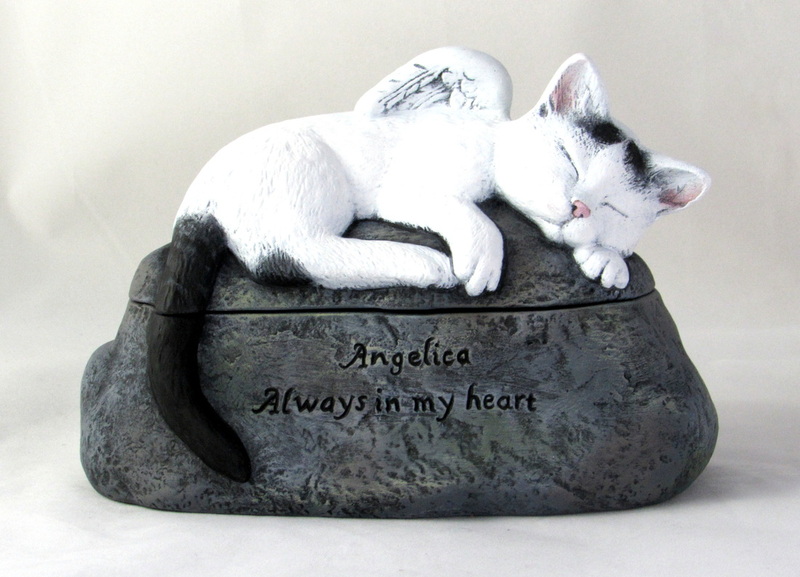 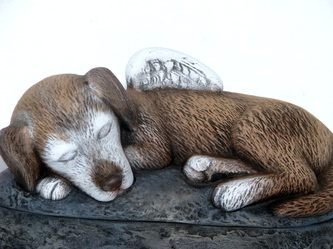 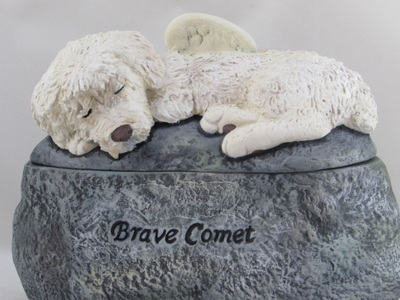 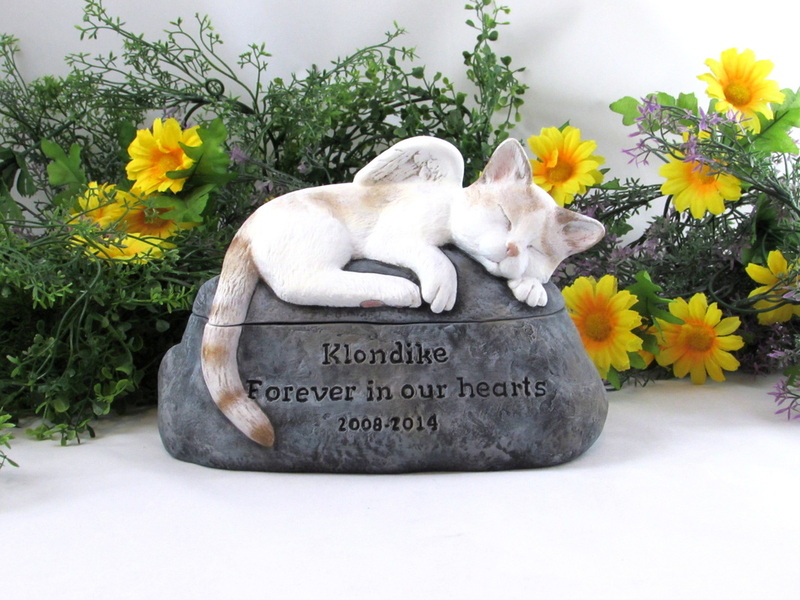 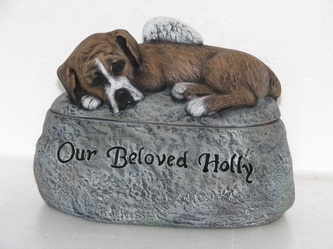 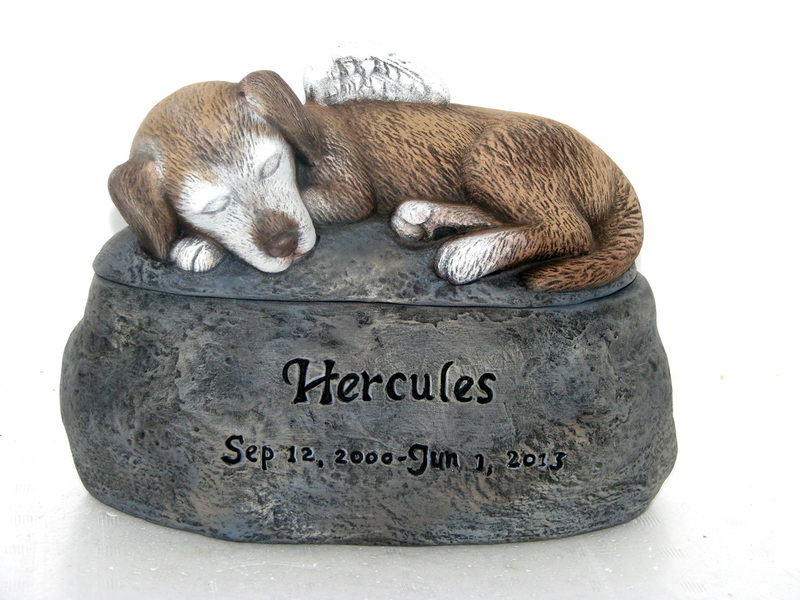 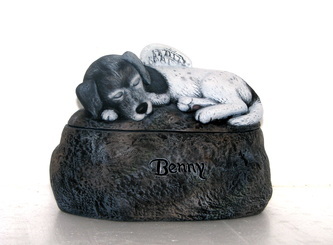 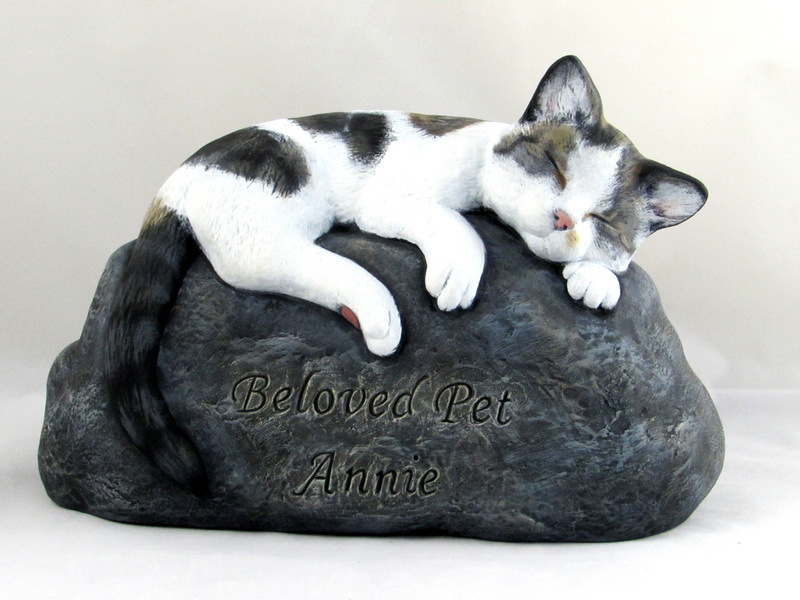 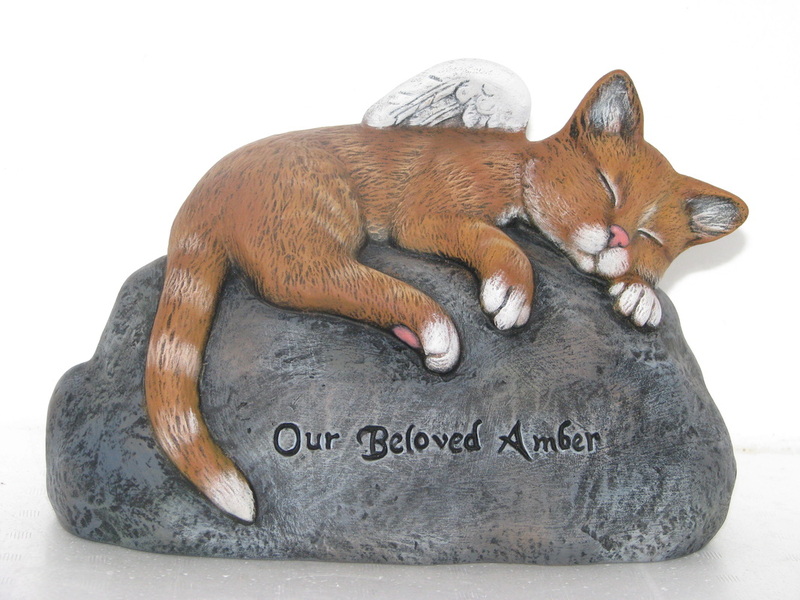 We supply urns and grave markers painted in the likeness of your pet and for an extra personal touch, an engraving of your pet's name below the engraving "Beloved Pet". 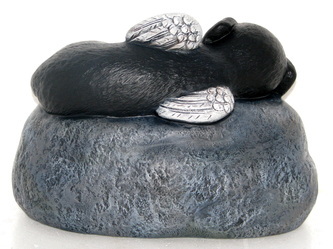 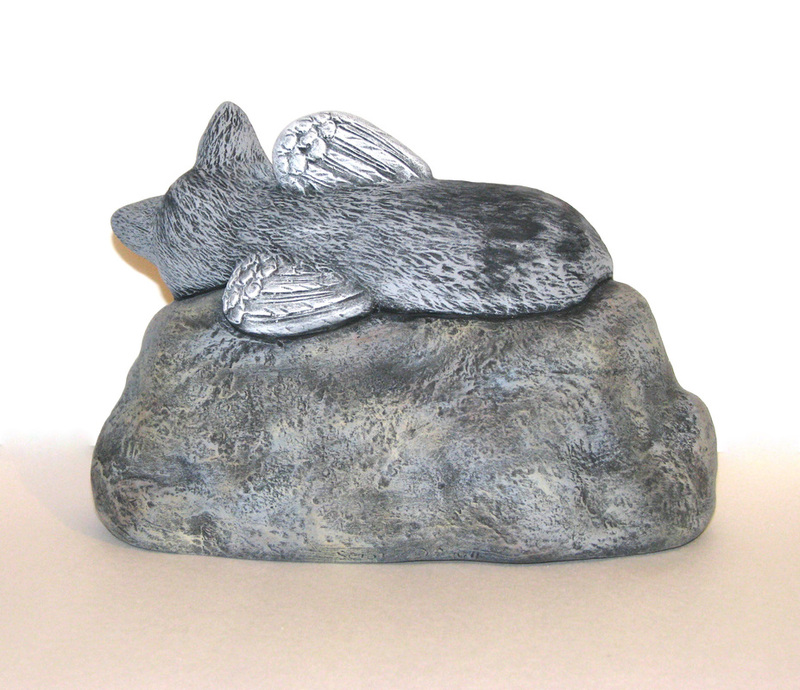 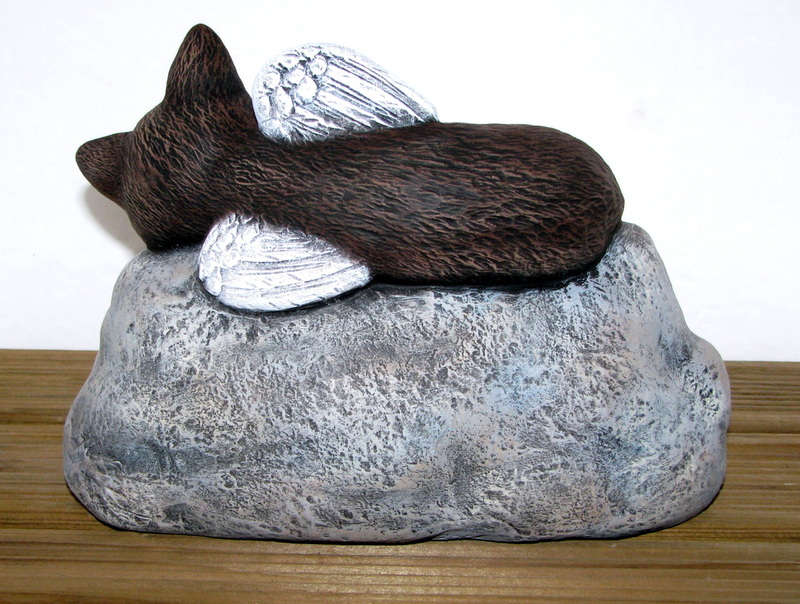 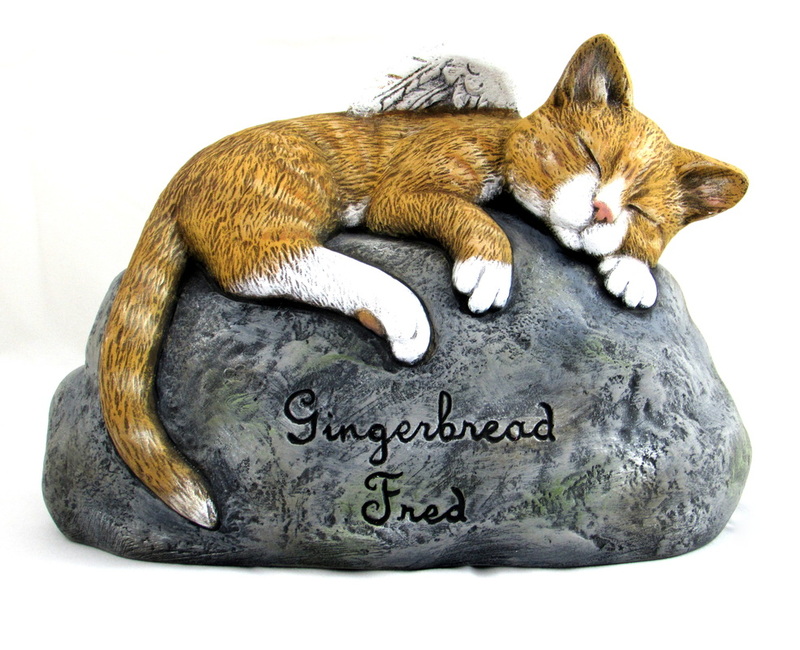 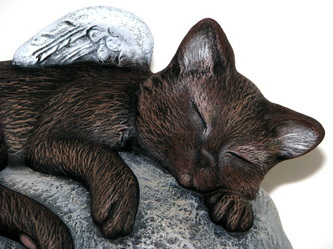 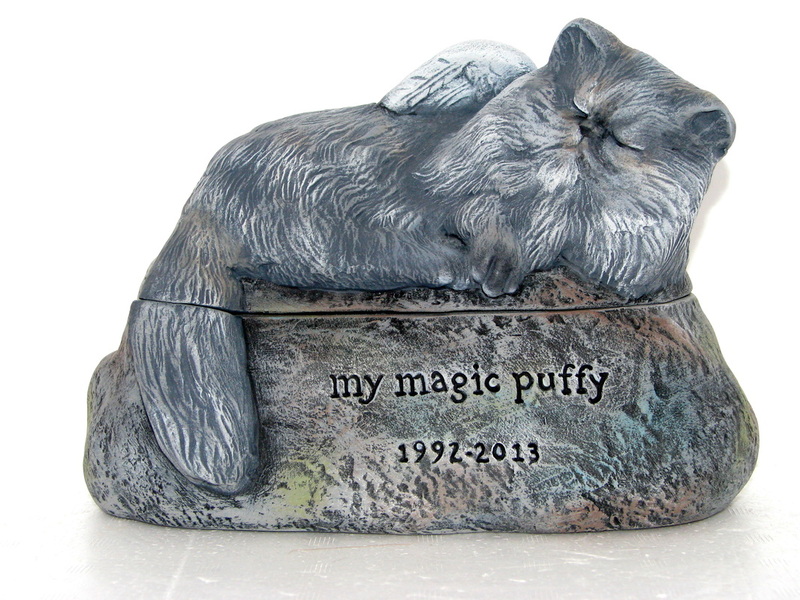 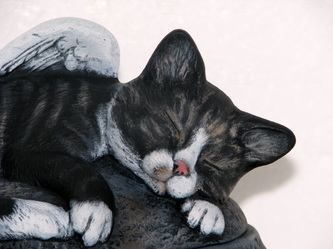 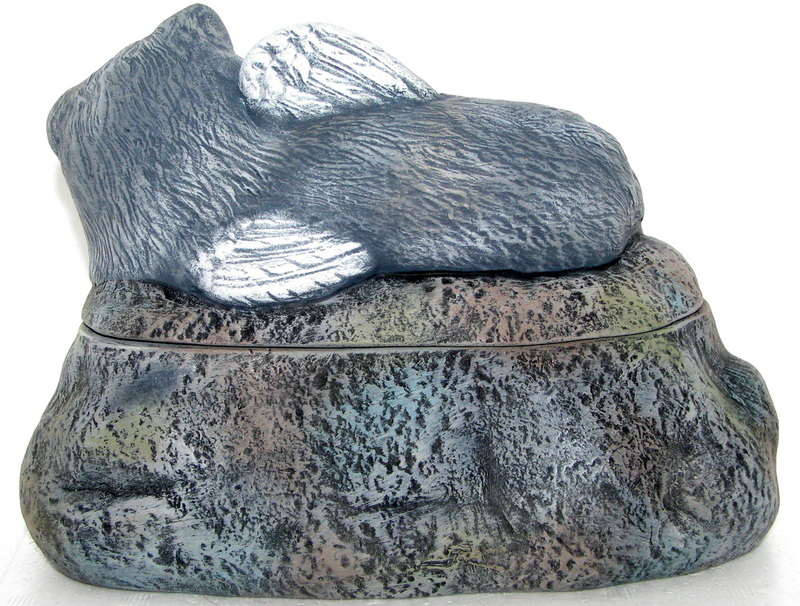 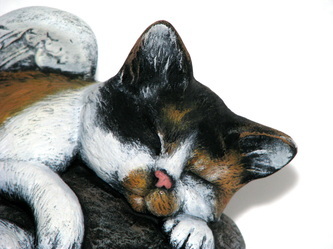 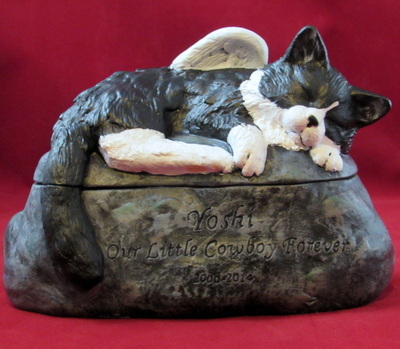 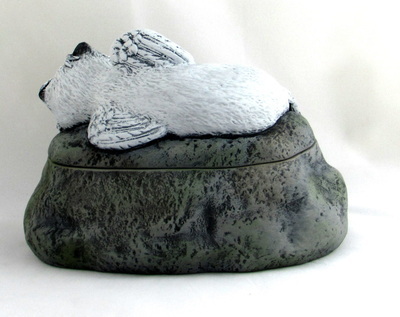 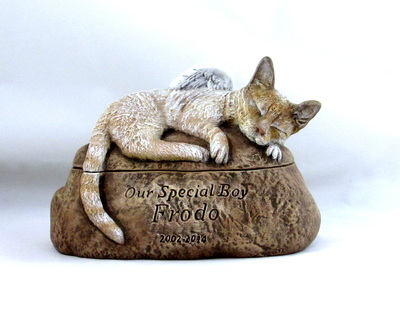 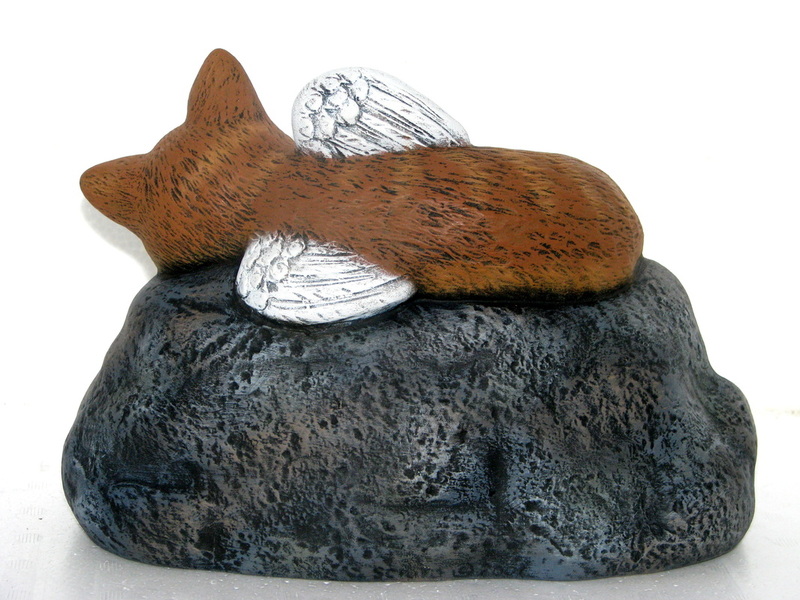 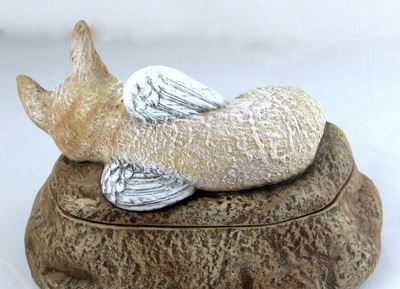 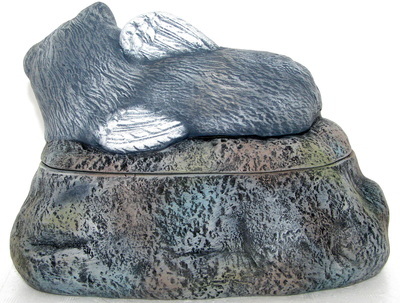 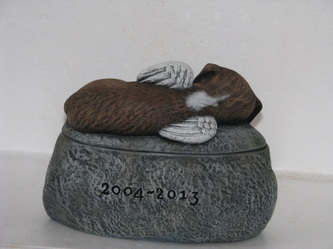 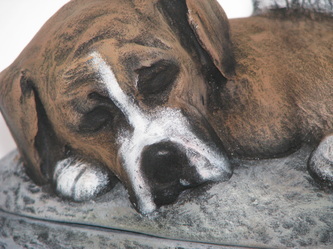 These urns and grave markers are made to order and prices vary depending on the difficulty of the coloring for the painting as well as the level of customization (for example, hand sculpting to represent different animal breeds). 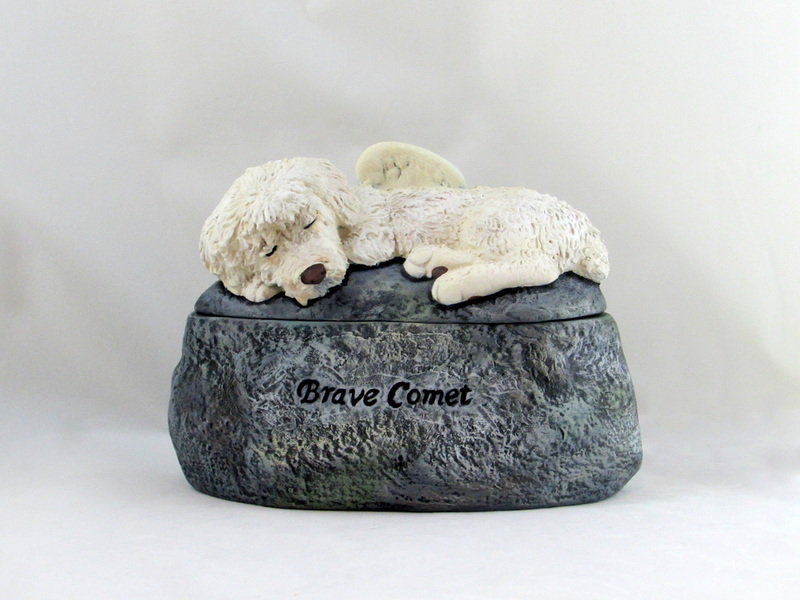 Please feel free to browse the gallery below to view examples of our custom work. 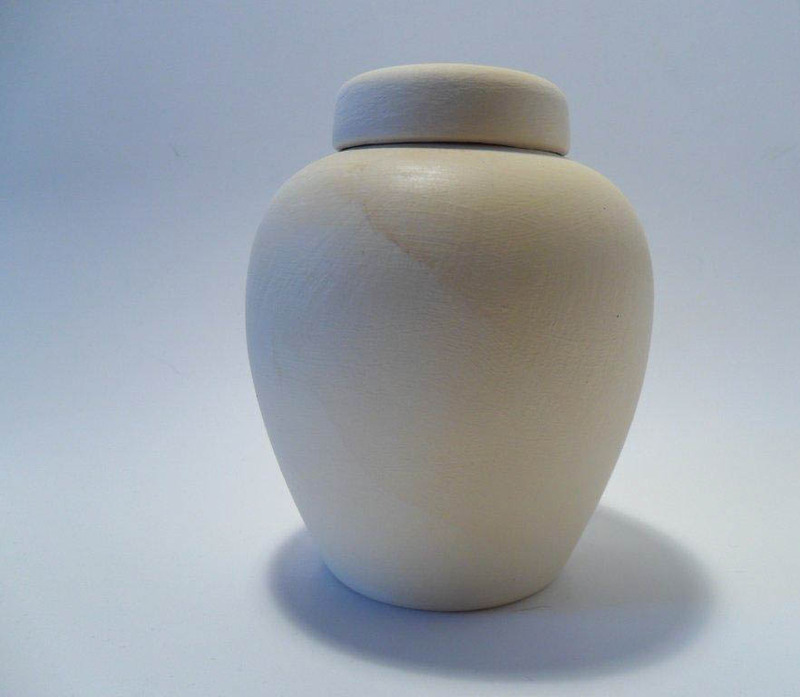 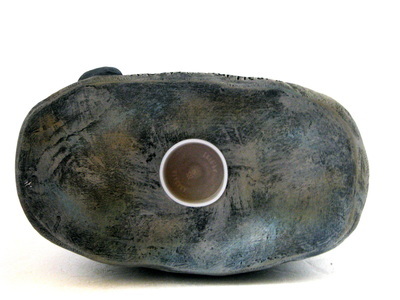 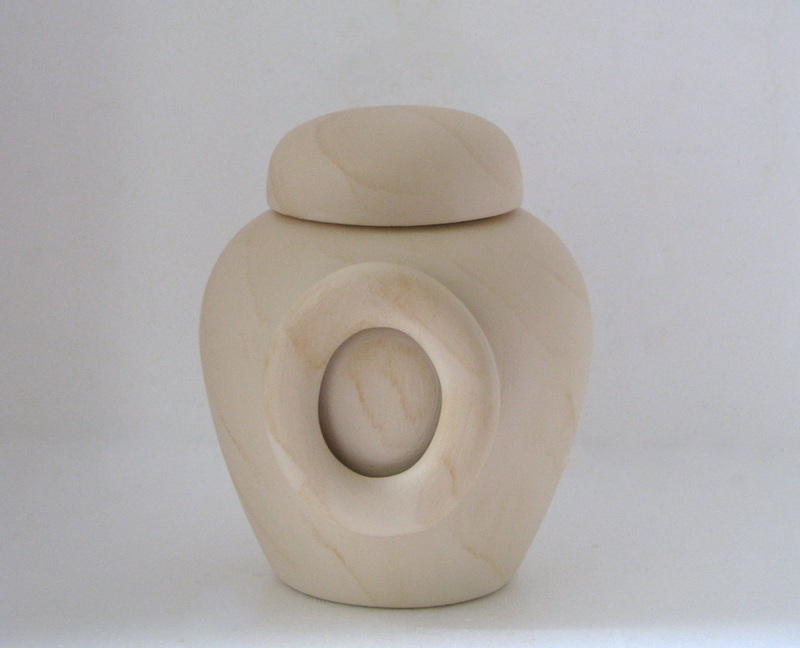 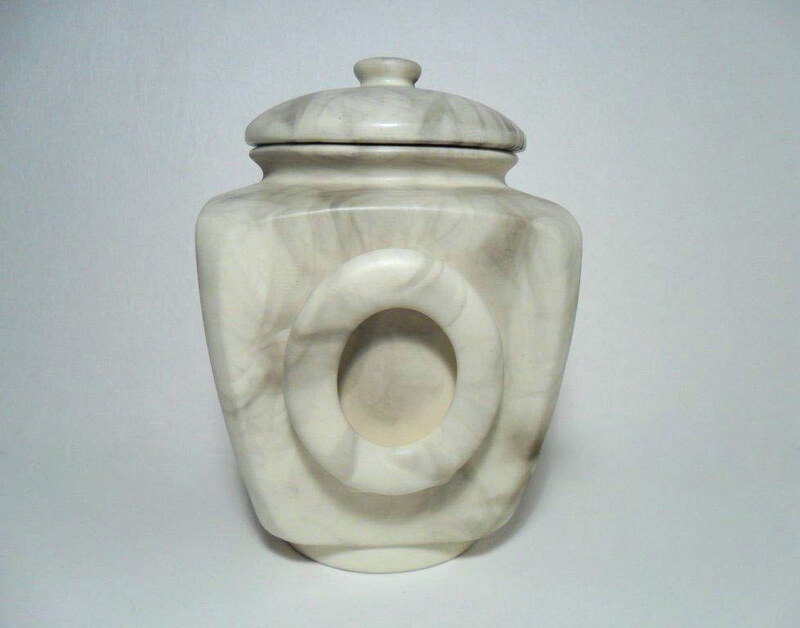 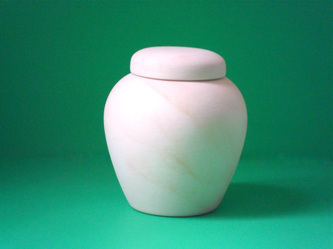 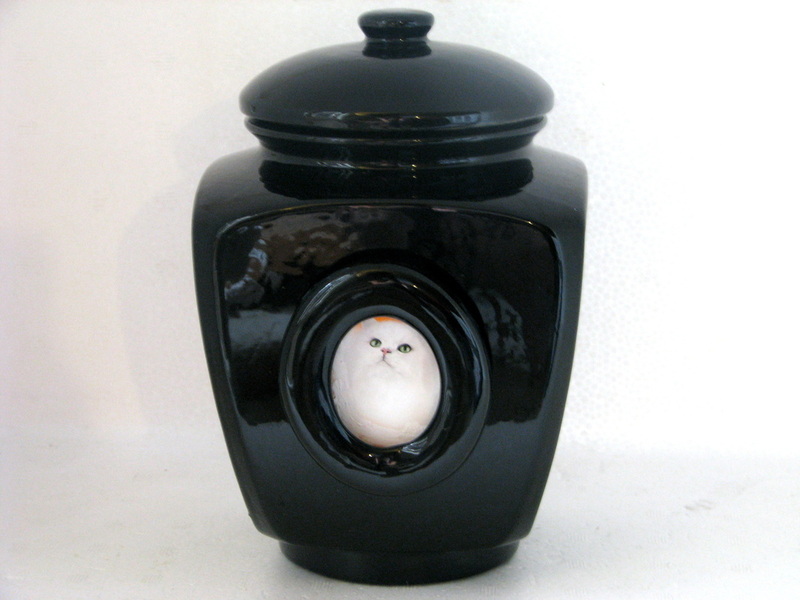 Non customized urns are also available, view images below as well as in our shop. 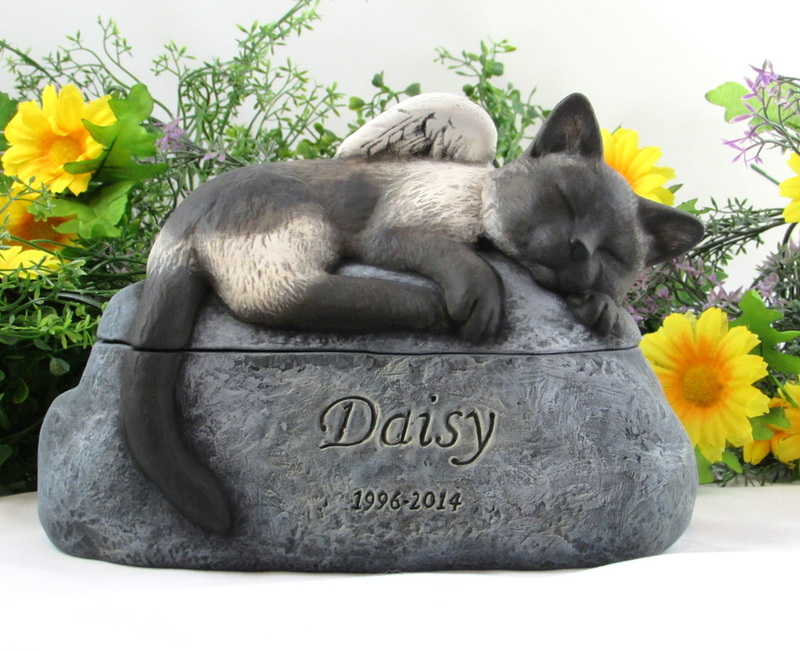 If interested in placing an order, please contact us and we can request pictures and discuss the level of customization and thus the cost of the work. 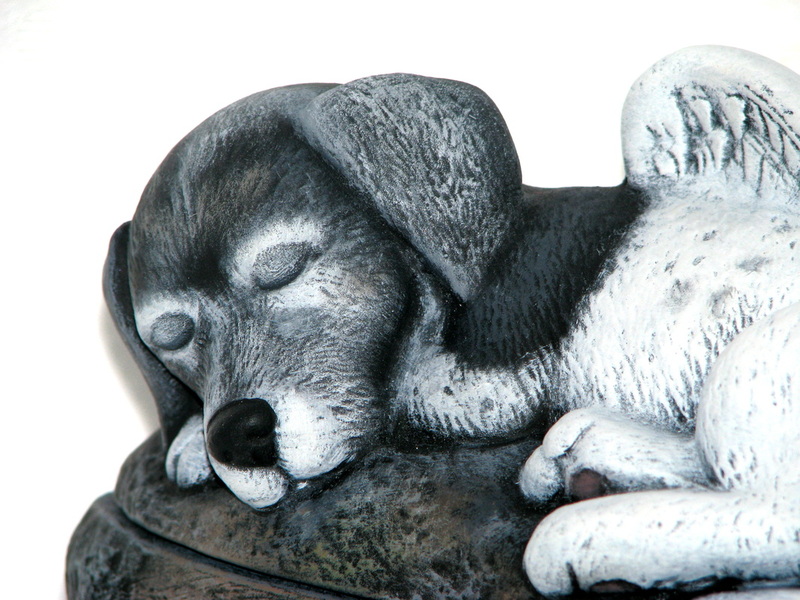 If you would like to narrow down your search please continue to our pet browsing page.